The young minds behind recent ventures like Peaches, Lloyda��s Tea House and Dessert Safari are proof that Chennai is in for a fresh new wave of ideas. While chatting with the youngsters behind some of the citya��s most successful restaurants, we find that many of them have switched careers to pursue their passion. These five restaurateurs tell us why therea��s no business like the food business. 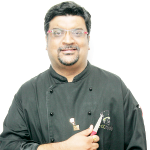 Chef Koushik Shankara��s premier venture, Eatitude Gourmet Technologists, is the company to head to for those looking to realise your food dream. It might come as a surprise to some that Mash in Besant Nagar was actually an unexpected success. a�?We were hardly out of college when we started Mash in 2007,a�? says Rohit Zachariah, one of the three cousins behind the restaurant. a�?The idea was actually to start something for ourselves a�� thata��s why Mash is a fusion of all our favourites,a�? he laughs. In 2011, they opened Mash The Grill House in Nungambakkam, which was not a branch, but an extension of the original, and early this year, they replaced The Grill House with a multi cuisine restaurant a�� The Curry Club. Why, we hear you ask. a�?Mash and The Grill House were two different concepts, but confusion arose because they shared the same name. Besides, Nungambakkam has a large corporate crowd and providing a multi cuisine option made sense,a�? explains Zachariah, 31, who plans to open a branch of Mash next year. a�?Though not immediately, wea��re also looking at franchising Mash in the future,a�? he adds. Should we expect anything else from him? a�?Ia��m looking at a concept that takes expensive dishes and offers them at lower prices, by cutting down on overheads. But thata��s still in planning,a�? he offers. A marketing professional by qualification, Shitija Nahata, 27, turned to baking only after marriage. a�?I started baking when I was 17,a�? says Nahata. a�?Four years ago, the idea of a cupcake store sounded crazy and we had to test the waters for a while. When I came up with the idea, almost everyone but my husband shot it down,a�? 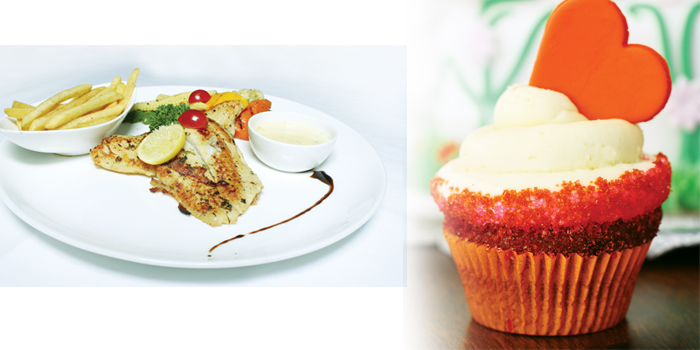 adds the entrepreneur who has extended The Cupcake Company that started in 2011, to Bangalore. Nahata agrees that one learns from experiences. a�?We started in Anna Nagar last February, but that did not do well. We realised that the location has a lot to do with selling our product,a�? she shares, adding that ensuring quality is the biggest challenge of owning multiple outlets. a�?I deal with that by being accessible to my customers. I am the only person who responds to every complaint or query and find it an extremely effective solution,a�? says Nahata, who hopes to take her brand pan India with a new store at least every two months. In April 2011, business graduate Bhuvanesh Subarayan, 28, opened a store dedicated to doughnuts. Little did he know that two years on, his Donut House would mushroom into seven outlets with an eighth coming up in Hyderabad next month. Subarayan, an entrepreneur first, spends his fair share of time in the kitchen. a�?I cook decent Indian and fairly good Italian,a�? smiles the innovator, who plans to expand to Coimbatore and Cochin, among other cities. And what does he feel has worked for his chain? a�?Keeping the menu strictly vegetarian (their doughnuts are made without egg) worked wonderfully,a�? says Subarayan, who has his eyes on a quick eat Indian restaurant concept next. Ask him when he realised that restaurants were his calling and restaurateur Sandesh Reddy, 28, quips, a�?I still dona��t know that. I started restaurants because no one would give me a job as a chef.a�? But after successes like Ox and Tomato, Go Go Ramen and his signature, Sandya��s, wea��re certain this self-taught chef would have a sea of offers today. With around eight years of experience behind him, Reddy has had his share of setbacks. a�?With Maya, I tried giving the market something it was not ready for and that didna��t work out,a�? he shares, about his 2011 Nellore cuisine venture. Is there a formula that works? a�?Ia��m sure there is, but I dona��t have it yet. I want to experiment and keep coming up with something new,a�? says Reddy, who follows the works of chefs like Jerome Chang, Thomas Keller and Eric Ripert. And the best part about owning a chocolate laboratory? a�?Meeting great people a�� Ia��ve met some of my best friends over dessert at Sandya��s a�� and working with chocolate,a�? he laughs. Another self taught chef, Arnav Bajoria spent four years in fashion design before he switched to food. a�?I always wanted to work with food,a�? says Bajoria, who trained in the kitchens of Courtyard by Marriott and Azurri Bay before setting up Soul Kitchen in 2011. His unique concept allows you to book his kitchen exclusively and Bajoria prepares the meal of your choice himself. The street food lover that he is, Bajoriaa��s next came this July, in the form of The Kati Roll Shop where he offers a�?not a snack, but a meal in the form of a roll.a�? A fan of the work of Anthony Bourdain and JoA�l Robuchon, Bajoria, 28, believes in maximising flavours with minimal ingredients. And while he does just that at Soul Kitchen (where he spends around 35 hours a week), he leaves the kati roll making to his team of experts. a�?I believe in a city that eats on its streets. We have some great street food cooks here and not all street food places are unclean or unhygienic. They just need to be promoted well,a�? he insists.